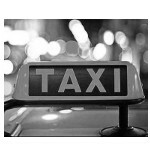 Book and quote a taxi online! It official guys and gals. You can now get a no obligation free quote online through our website in 3 simple steps! You can then change this into a booking with us! It really is that simple. So if you need a quote then get your free quote today by clicking here!